Cybersecurity professionals are in high demand with one million unfilled security positions available worldwide. 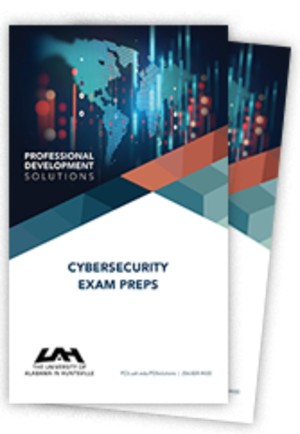 Whether you are just starting your cybersecurity career or polishing your skills, we offer exam preps from beginner to expert level: A+, Cloud+, Network+, Security+, CEH, CND, CAP, and CISSP. Select courses meet DoD Directive 8140. The PMP® (Project Management Professional) is the most important certification for project managers. It is recognized globally and can increase your earning potential and validate your expertise. We offer exam preps in a condensed format (to help you prepare quickly) or an extended format (to allow you to take your time to learn all of the material). Courses also prepare you for the CAPM® (Certified Associate in Project Management) exam. The CSEP (Certified Systems Engineering Professional) is one of the most sought after certifications for engineering professionals. Obtaining this certification validates your competency within the competitive field of systems engineering. Many organizations, including the U.S. DoD, recognize the value of the INCOSE CSEP. Interested in an IT, Engineering, Leadership, or Management Program? “The instructor really encouraged participation, which helped us learn. “I feel ready to pass the exam. “Took the PMP® test last Friday and PASSED!!"